When it comes to situations like pipe bursts or appliance malfunctions, call the water damage Colleyville experts with 911 Restoration Fort Worth. When the water damage Colleyville and mold removal Colleyville pros arrive at the site of the disaster, the first thing they do is conduct a free visual inspection of the entire property. We want you to have our trust and know exactly what to expect during the repair process. Once the assessment is done, each homeowner is provided a detailed repair estimate and plan. 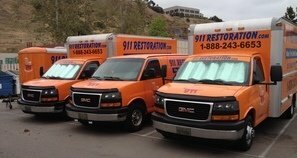 At the first sign of a water damage, call the water damage Colleyville and mold removal Colleyville experts with 911 Restoration Fort Worth. 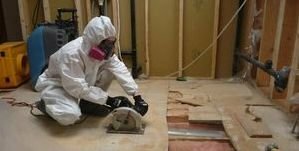 Since water and mold go hand in hand, our water damage Colleyville and mold removal Colleyville pros work together to ensure that every area within your home has been diligently inspected. When you work with our team, you work directly with our technicians who guide customers on easy to do inspections to prevent future damage. It can be as simple as checking the tile and grout for cracks around your bathtub and toilet, or even as simple as reviewing your water bill. By reviewing your water bill, you may catch unexpected charges which can lead to finding out there is a water leak somewhere on your property. When it’s time to clean up the water and repair the area, we work around the clock. Our water damage Colleyville techs utilize state of the art water extraction machines and apply advanced drying methods, water damage Colleyville and specialists work to get your home restored even better than its original condition. Once the water has been mitigated our mold removal Colleyville techs come in and use infrared cameras to detect lingering moisture and mold in those hard to see areas such as under your floors or in your wall cavities. We don’t’ leave until we know for a fact that your home is safe for you and your family. If your home is facing the threat of a water damage or mold infestation, call water damage Colleyville and mold removal Colleyville pros with 911 Restoration Forth Worth. We know how distressed you may feel while waiting for answers from your insurance rep. So we offer to cut that step out and allow us to submit your claim for you. While our technicians are out on the field meeting with adjusters, our project managers handle the administrative aspect of the repairs. With years of experience in the restoration industry, we know exactly what to submit to the insurance companies. Our goal is to provide you with peace of mind, and we don’t call it a day until all of your concerns have been addressed. Don’t let your home fall victim to a water damage before it’s too late. 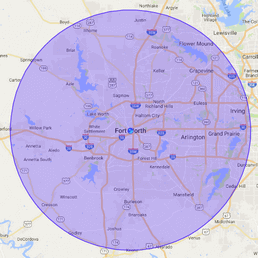 Call the water damage Colleyville and mold removal Colleyville experts with 911 Restoration Fort Worth today!